Here you can find information about Basque organizations that are currently members of the BeBasqueTalentNetwork, meaning that they work with Bizkaia Talent to attract, retain and involve highly-qualified professionals to and in the Basque Country. Classified by organization type, you can find by sector those companies that work in your field of knowledge. To be able to get in touch with them, via the Talent Map, you need to register with the network. El equipo de Aciturri ha sostenido el importante proyecto de crecimiento en los últimos años y ha consolidado la posición de la misma como suministradora de primer nivel (TIER 1) en el mercado de aeroestructuras. Con el propósito de respaldar ese compromiso Aciturri ha puesto en marcha diversas iniciativas, que en 2011 recibieron el premio a la Mejor Gestión de RR.HH. que la Red de Recursos Humanos concede anualmente a las organizaciones más innovadoras en la gestión de RR.HH. We are a smart young company located in Bilbao and formed by an IT professional team with over 10 years of experience on average. We offer you the power of a very experienced IT professional team, developing the projects you need as if it were your own team, just when you need it. With the project manager next to you. High quality development and performance. Our interdisciplinary team enthusiastically faces the challenge of making high quality software development for other software or IT companies while at the same time managing the projects next to our customers ensuring an excellent performance at very competitive prices. ADDITOUT's integrative approach as well as it´s adaptation to the use of your selected methodology ensures the successful implementation of sophisticated projects. You benefit not only from our long-standing experience and our lower prices, but also from our profound knowledge of different sectors. Our proven method depends on direct communication between you and our staff as well as on the regular coordination amongst all our individual specialist fields. This is one of the keystones of our success. That?s why we consider our project managers a key part of our business. We are a social enterprise, working towards the development of the community and of the wider society. Our main activity is social intervention, attending to the social needs of individuals and groups in disadvantaged situations. Our trajectory describe has given Agintzari a leading position as an agent of social intervention, with an important role within social services. In the Basque Autonomous Community, Agintzari has become one of the biggest organizations active in the non-profit making public sector. - AIRLAN INDUSTRIAL S.A.; Fabricación de Centrales de Tratamiento de Aire, unidades de recuperación y unidades terminales.n de Centrales de Tratamiento de Aire, unidades de recuperación y unidades terminales. - INGETEK SISTEMAS S.A., Diseño, Ingeniería e Instalació llave en mano de Equipos y Sistemas de Regulació y Control de Instalaciones Electromecáicas. (Sistemas de Gestió Ténica de Edificios). In its commitment to healthcare professionals and the improvement of the patients´s quality of life, the company is intended to continuous product innovation, trying to meet their present and future needs. AJL Ophthalmic is the only Spanish company dedicated to the manufacture of intraocular implants for ophthalmology with a demanding standard of quality, whose main objective is to ensure the safety and health of patients. Alerion Technologies is an engineering company that specialises in autonomous robotics for industrial applications. The company specialises in embedded software development, computer vision applications, and precision navigation in high-wind environments. The company develops its robots from the ground-up customising for each application and customer. Antonia Magdaleno Abogados y Economistas es una firma que ofrece asesoramiento legal en cualquier ámbito de la empresa y el mercado. Y lo hacemos, además, con un alto valor añadido: nuestro elevado grado de especialización. Es precisamente esa reconocida especialización la que nos distingue en el mundo del Derecho y la que garantiza a nuestros clientes la máxima excelencia en el servicio y en los resultados. Through our AMPO SERVICE team we guarantee a prompt response to customer needs wherever they are throughout the world: technical support in start-up stages, equipment selection, predictive and preventive maintenance, training, etc. Arania Group throughout its history has been able to combine the most advanced technologies and processes in order to provide the best service for its customers. A clear long-term vision within the management of its multisectorial platforms has allowed sustainable growth based upon internationalisation, innovation and investment in people who uphold its values. ARANIA: Precision cold steel rolling. AR RACKING: Storage systems for heavy loads. AR SHELVING: Shelves for light loads. Basoinsa is a consulting and environmental services company specializing in various fields of activity related to the natural , industrial and urban environment. Based on an ethical and sustainable growth, BATZ has become a solid industrial group thanks to the commitment and customer orientation of its professionals. Automotive systems. BATZ is a recognised and qualified expert in the design and manufacturing of systems for safety, weight reduction, ergonomics and driving efficiency. Mechanical controls as pedal modules, shifters or levers amongst other customised solutions, lightweight structural composite parts and aerodynamic panelling, turn BATZ into a first class supplier to leading automotive OEMs. BATZ has strengthened its position in the development and manufacturing activity of innovative solutions in renewable energies. BATZ Energy is focused on the design and development of structural systems oriented to mass production and turnkey solutions for solar field assemblies in CSP & PV technologies. BATZ Group employs 1,700 professionals in 15 own manufacturing facilities around the world, which allows BATZ to accompany its customers in their present and future challenges, wherever it may be needed. The goal of BEAZ lines up with the Provincial Department of Economic and Territorial Development, on which we directly depend: to contribute to the growth of economic activity and the creation of qualified jobs. To that end, we participe in the definition and management of aid programmes granted by de Departament to support an entrepreneurial path whose starting point is the creation of new companies, and its consolidation the final objective. In the process, we manage various aids that support the implementation of innovative enterprises, the development of projects with high added value, technological or not, as well as innovation, internationalisation and investment. We also offer a range of services to support entrepreneurship, which are based on the experience and constant work of the internal innovation within Beaz, aiming to add value to businesses and entrepreneurs of Bizkaia. Likewise, we promote throug partnerships with other organisations and networks of incubators, intra-entrepreneurship, acceleration, mentoring or inter-company collaboration or open innovation processes, without forgetting the information and disseminatin services. 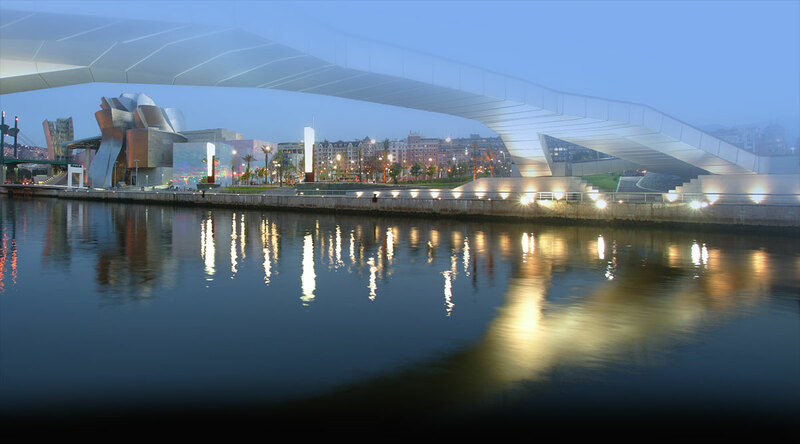 Created in 1987 we have 30 years of daily contact with SMEs and entrepreneurs throughout the province of Bizkaia. A background that nourishes us and that we try to be useful to everyone. Bial Industrial Farmacéutica, S.A. is a company focused on the manufacturing and commercialisation of allergenic extracts for diagnostic and treatment (vaccines) of allergic diseases. It has a R&D Department specialised in immunotherapy with biological products, in which several biotechnological research lines are carried out (recombinant DNA and monoclonal antibody production). Several Ethic specialities, also for human use, are commercialised, like antimicrobial agents, antiinflammatory agents, antiasthmatics, antihistaminics, glucocorticoids, etc. Pese a la globalización del mercado, Bilbomática ha conseguido mantenerse independiente y fiel a sus objetivos fundamentales: desarrollo económico y social, logrando altas tasas de crecimiento y empleo, y comprometida con aspectos como el respeto al medio ambiente, la igualdad de oportunidades de mujeres y hombres y la responsabilidad social. Bilbomática, comprometida con las necesidades sociales de creación de empleo, viene desarrollando una política de colaboración basada en la captación de recursos humanos en áreas técnicas, permitiendo la incorporación de titulados de grado superior en el mercado de trabajo a través de una formación especializada basada en el know-how de la compañía y orientado a las necesidades del mismo. Bilbomática ha consolidado una línea de producción de software apoyada en el método y la calidad, porque al tratarse de una ingeniería, la fabricación debe ser de absoluta fiabilidad, a la vez que reproducible con las mismas garantías. Para conseguir estos objetivos, se ha recurrido a metodologías, procedimientos e instrucciones que aseguran dicha producción, con un control, seguimiento y validación de todos los sistemas de fabricación de software. Estos sistemas conocidos como de aseguramiento de la Calidad, cumplen con los requisitos de la Norma UNE-EN-ISO 9001 y están certificados por OCA (*). ACICAE is a Cluster whose mission is to boost the Basque automotive sector, enabling cooperation among Basque companies to answer, together, to the major challenges the sector presents. It is considered to be the first Automotive Cluster set up in Europe. We are the Basque Autonomous Community's cluster association that brings together companies in the Eco-industry sector; we are working together to address the current difficult times by improving competitiveness and innovation in products and services designed to achieve more efficient management of "green and cleantech" resources on the national as well as international market. - To strengthen the sector: to reinforce the orientation towards the members as the benchmarks in the Basque Cleantech and Environmental Sector. - Institutional relations: to position and defend the members at home and abroad through a policy of alliances designed to offer institutional support. - To foster innovation in the products and services of its members. - To foster a favourable framework for the internationalisation of companies. AFM, Advanced Manufacturing Technologies, the Spanish Associations of manufacturers of machine tools, accesories, parts and tools, represents 90% of machine tool and advanced manufacturing technology companies in Spain. AFM works to promote internationalisation and, through its INVEMA (Foundation for Machine Tool Research) technology unit, the technological innovation of its member companies. AFM, Advanced Manufacturing Technologies, is a member of both CECIMO and ECTA, the European associations of machine tool and cutting tool manufacturers. Spain is the European Union's third most important producer and exporter of machine tools, and is ranked ninth in the world. This position has been achieved thanks to the commitment of manufacturers of machine tools, accessories, parts and tools to technological innovation, internationalisation and personal development. For example, by exporting an average of over 80% of the industry's production to international markets and investing approximately 5% of turnover in Research, Development and Innovation. We are a registered non-profit association established October 27th 2010. Our mission is to coordinate, represent, conduct, facilitate and defend the interests shared by its members, in collaboration with public administrations and other bodies relevant in the field of biosciences. As well as to contribute to the development, growth and internationalization of its members and of the biosciences sector in the Basque Country Autonomous Region. One major component is that of health-related (human or animal) biotechnologies , inclusive of drug discovery, development and production, regenerative and personalized medicine, in-vitro assays for diagnosis and prognosis, advanced ophthalmics, immunology, nanotechnologies, services to clinicians, etc. Members? businesses and competences also encompass bio-solutions for agro/food chains and environmental safety, advanced materials and engineering, IT, imaging, turn-key lab/plant construction and systems, among others. Since the 2000?s, the Basque Government has been committed to decidedly help promote its regional economic mesh evolution within our continuously changing and increasingly competitive World, so betting on new sectors with high knowledge and innovation components. One defined outcome was its plan, first of its kind in Spain, specifically aimed at the development and growth of the biosciences: the BioBasque Strategy. The plan, under its current design, is chiefly managed and implemented on its executive side by the SPRI Group (the governmental agency for business development ). Bioscience has revealed itself -worldwide- as a sensible field to invest business development efforts into. Risky by nature and typically requiring medium to long maturation terms, but offering high rewards. The Basque Country has promoted and witnessed the emergence of a science and technology community, made of public research centers, university departments, advanced technology alliances and companies, that sets the foundation for the bioregion. GAIA's mission is to boost the develop and growth in the Electronics-IT and Telecommunications sector, and to favour the assimilation and efficient usage of the sector's technologies, with the aim of collaborating in the development of the Information and Knowledge Society. The Electronics, IT and Telecommunications sector in the Basque Country is one of the most important concentrations of industrial developments in the this sector in Spain. The tradition of manufacturers and entrepreneurs in the region, the excellent training and research infrastructures, the high sensitivity and commitment of public administrations and the existence of GAIA as an association that boosts and coordinates joint, technological and commercial activities are all at the core of our ongoing growth in our sector and its positioning as an outstanding European reference with a vocation. The member companies of GAIA are always creating employment for highly qualified professionals. Because of the prospects for the future and the forecast for the demand for ICT professionals in the next years, the Association is launching new innovative training programmes that provide a chance for future hiring of professionals in the sector. DigiPen Institute of Technology is a pioneer in game education committed to providing an exemplary education and furthering research in digital media and interactive computer technologies. We work with clients from a wide range of industries, building tailored technology applications both internal and consumer-facing that are as narrow or as open-ended as they need to be. From data visualization tools that help businesses leverage resources to interactive consumer products for expanding market reach, our solutions empower clients to meet their goals and overcome challenges. As a versatile team of designers and engineers, we draw from a large, flexible set of tools. Our passion is in building powerful, elegant software that combines technical excellence with ease of use. We are the Faculty of Engineering of Mondragon Unibertsitatea, a non-profit cooperative university of social vocation and public interest open to the whole of society and focused on the needs of businesses, institutions and organizations. We offer 9 Undergraduate Degrees, 5 Masters Degrees and a Doctoral Programme in engineering as well as several training programmes for professionals, including Professional Masters (non-EHEA Degrees), certificated courses, diploma courses and on-demand in-company courses. Mondragon Unibertsitatea has developed an educational model called "Mendeberri", which aims to generate in students the values and attitudes that enable them to successfully develop their professional career, and to become active subjects in the progressive transformation of society. As a result of this learning process, students develop the ability to make decisions driven by their own initiative, and to find and set out on their own path. By working on soft skills, students are not limited to developing technical skills; in addition to the knowledge, they will learn how to do, to act and to be. They will acquire skills such as effective communication, commitment and leadership, amongst others. Mondragon Unibertsitatea also develops a collaborative research model based on aligning research (from oriented basic research to innovation) in collaboration with three key agents: universities, innovation and technology centres and companies, the latter through their R&D&i units. The objective of this knowledge generation and transfer-oriented research model is to improve the competitive position of businesses and organizations contributing to the development of their products, processes or services. Basque Institute of Competitiveness: Orkestra. Formed in 2006, the Orkestra team promotes transformative research. This type of research is defined by analysis, reflection, evaluation and the proposal of actions, in a permanent form, aimed at providing innovative answers for the resolution of the challenges considered, while research knowledge is acquired. To this end Orkestra, who since its beginnings has been an example of success in public-private cooperation, works with a large number of networks, businesses, governments and institutions on numerous projects. In this way, aside from being an agent of change to drive competitiveness in the Basque Country, it has become today an international model in the analysis of regional competitiveness in a global environment. Our mission is to nurture an enlightened population by providing quality education and training based on knowledge, innovation and equity. As a public institution we are community-funded, and both fees and services rely only to a small extent on students: our university is owned by all, open to all. We support the acceptance of alterity and the inclusion of all members beyond discrepancies of any kind. The University of the Basque Country is a unique custodian of our age-old linguistic heritage: we have raised Basque language (the only pre Indo-European tongue still spoken) to the highest educational level. Upholders of 70% of research carried out in our region, we are deeply committed to producing theoretical knowledge with a view to improve people´s lives. * Translational research aimed at the development of new strategies for the treatment of brain diseases. Do you want an innovative job working on multi-disciplinary projects within a global and international context? Do you want to generate new knowledge, products and services that have value for the market? Do you want to provide our clients with innovative, practical and smart solutions? Are you ambitious, driven and pro-active? Are you a free thinker and enterprising? We are seeking professionals who are able to connect with our clients and create work teams that search for new challenges. If you feel identified with our challenges, then AZTI is in your future. AZTI offers the chance of developing your dreams through top-level research carried out by professionals who are able to generate knowledge with a significant scientific character and excellence and a clear market focus. We offer a unique professional experience in which you will participate in an excellent scientific and technological organisation, close to the markets and the needs of the food industry and maritime activities that is dynamic and a true leader and innovator in its areas of expertise. We translate our clients' needs into business opportunities, generating and providing value to our clients. AZTI is a knowledge organisation, i.e., it places great value on your personal and professional development. From the moment you become a part of the organisation we will focus our attention on your professional development and growth. Likewise, you will feel quickly integrated thanks to our welcome, accompaniment and training programme. The people at AZTI are our main asset to achieve the goals that we have set. AZTI is committed to the people in the organisation and to the growth of the human team, which is a reflection of our strength. In 10 years, we have doubled our staff from 160 people in 2005 to 249 people in 2014. The Basque Culinary Center is a pioneering academic institution worldwide, created by seven of the top Basque chefs along with Mondragon University, and with the involvement of eleven of the most influential chefs in the world. At the Basque Culinary Center our main aim is higher education, research, innovation and promotion of gastronomy and nutrition. Since its creation, in September 2011, we have worked to become the international benchmark in this field and also to promote gastronomy as a lever of social-economic development through the Faculty of Gastronomic Sciences and the Centre for Research and Innovation. We also develop many different promotional activities. The BC3 is a BERC, Basque Excellence Research Centre, based in the Basque Country which aims to contribute to long term research on the causes and consequences of climate change. Led by one of the most recognized scientists in the Climate Change field -Prof. Maria José Sanz, we produce multidisciplinary knowledge to support decision making towards sustainable development at the international level. With a multidisciplinary team, connected to the main scientific institutions, networks and socio-economic agents, for a decade, our contribution to research of climate change and to the science-policy interface puts us in a unique position to offer knowledge, tools, new methodologies and cross-cutting proposals, that we lead towards action in a collaborative framework with stakeholders, to design and help implement policies aimed at sustainable development. The Basque Center for Applied Mathematics, BCAM, is a world-class research center in the field of Applied Mathematics located in Bilbao (Spain). Its main goal is promoting scientific and technological advances worldwide through the interdisciplinary research in Mathematics, and the training and attracting of talented scientists. Embedded in a multicultural environment, with more than 90 people from over 25 nationalities working at the center, BCAM is a young center that provides the right atmosphere for research and promotes the creation of hard-working international and interdisciplinary teams. Mission: Provide a platform for researchers and professionals from related areas to carry out frontline research, development and innovation in this area. The specific aim of our research activity is to unravel the neurocognitive mechanisms involved in the acquisition, comprehension and production of language, with special emphasis on bilingualism and multilingualism. Some of the areas we study include the processes involved in normal child language acquisition and second language learning in adults, as well as learning disorders, language disorders, language-related effects of aging and neurodegeneration and language use in different social contexts. BCMaterials was launched in June 2012 by Ikerbasque, the Basque Foundation for Science and the University of the Basque Country (UPV/EHU) as a research center for Materials, Applications and Nanostructures. The center is included in the BERCs (Basque excellence Research Centers) network. Biocruces Bizkaia Health Research Institute is a scientific institution created by the Department of Health of the Basque Government, the Basque Health Service (Osakidetza), The University of the Basque Country, and the Basque Foundation for Innovation and Research (BIOEF). This institute is a key element in the strategy of the Government of the Basque Country for consolidating the biomedical sector in the region, and is a first class scientific instrument for improving the quality of the health and life expectancy of the population. The mission of BioCruces is to promote, bring together and support its research groups enabling them to undertake high-quality translational research and promoting effective innovation and collaboration with other organisations, in order to provide new tools, practices and knowledge to contribute to enhancing healthcare, population health, wealth creation an economic development. CEIT-IK4 promotes excellence in applied research by publishing non-confidential results, disseminating scientific and technical knowledge in a variety of venues, and training doctoral students within the framework of industrial research projects. CEIT-IK4 seeks regular collaboration with companies in a range of sectors (railway, aeronautical, automotive, health, manufacturing, energy and environment) and strives to understand all aspects of our clients' business in order to develop high value added solutions through applied investigation projects. In addition to offering innovative solutions to our clients, CEIT-IK4 trains young researchers who are preparing to join the labour market and add value to the production system. CEIT-IK4 shares with the University of Navarra a commitment to research and teaching, inspired by the values of Christian humanism. We are driven by our passion for research and our passion to advance the application of knowledge through our projects. Our commitment to excellence helps us build the future day by day. CIC bioGUNE (Center for Cooperative Research in Biosciences), a non-profit biomedical research organization, founded in 2002 at the initiative of the Department of Industry of the Basque Government, opened its research facilities at the Technology Park of Bizkaia in January 2005. Since then, CIC bioGUNE has been playing a strong role in advancing biomedical research and technological innovation in the Basque Country. To support the research activities of The Center's scientists and students CIC bioGUNE initially made an investment of more than 35 million in state-of-the-art research infrastructure - in genomics, proteomics, metabolomics, NMR, electron microscopy, X-ray diffraction, and computer and animal facilities, among others. Our missions cover different aspects: the development of high-level Science, including fundamental research, industrial research and experimental development, high-quality training, institutional cooperation, internationalization, and dissemination. Our researchers, recruited internationally, include fellows from Ikerbasque, Bizkaia:talent, and Ramón y Cajal and Juan de la Cierva programs. CIC bioGUNE currently employs over 140 people, including 20 research group leaders, ca. 100 postdocs, technicians and engineers, providing training opportunities to more than twenty Ph.D. students each year. Extramural competitive funding from the Basque Country, Spain, International Institutions, including EU and ERC, and local and international Industries, combined with the generous support of the Basque Government and the Regional Government of Bizkaia, allowed our modern research projects to continuously grow and prosper. In 2015, CIC bioGUNE's researchers have authored over 100 scientific publications in peer-reviewed journals and licensed two patents.